Heacock’s support goes back to 1981, when former Sebring resident Ford Heacock III founded the organization – not a stretch for a kid who spent a lot of time at Sebring Raceway in the garages of some very big names. SVRA’s headquarters soon moved from Lakeland to Summerville, SC, back to Florida, and then from South Carolina to New Hampshire, each move a result of a change of ownership. Today, prominent businessman and racing enthusiast Tony Parella of the Parella Group has ownership of the organization and acts as President and CEO – at least, when he’s not out racing himself. 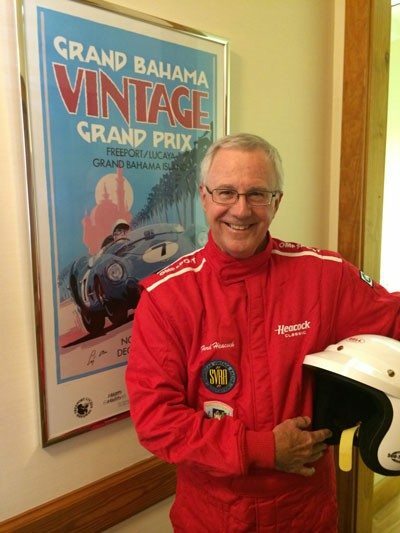 Parella states “The SVRA is extremely pleased to have Heacock Classic as a partner again in 2014. Their comprehensive line of insurance products and high level of personal service meet the needs of our members both on and off the racetrack. It’s great to continue a relationship that goes back to the very beginning of the Sportscar Vintage Racing Association”. For more information on the SVRA Race Schedule or Heacock Classic Insurance, contact: Sportscar Vintage Racing Association at www.svra.com , on Facebook, Twitter and YouTube.